What’s inside the iPhone 4S? After the launch, on October 14, many people now have the iPhone 4S. What’s inside the iPhone 4S? Well, for starters, the iPhone 4S has a major performance upgrade with the Dual-core A5 chip, instead of the A4 chip used in the iPhone 4. The iPhone 4S now has Siri as a built-in assistant and a 8 megapixel camera. It also records video with 1080p 30 fps (frames per second). It uses Wi-Fi 802.11b/g/n and now uses Bluetooth 4.0.
iFixit decided to disassemble the iPhone 4S and take a closer look to what’s inside the iPhone 4S. With a first look, they noted that the SIM card slot is back. After having a deeper look, they find that the iPhone 4S’ battery has an extra .05 WHrs comapred to the iPhone 4. The iPhone 4S has an extra hour of talk time compared to the iPhone 4 on the 3G network. The iPhone 4S has the same amount of talk time in the 2G network, but 100 hours less of standby time, most likely because of the Dual-Core A5 chip consumes more energy. For a more in-depth look into what’s exactly inside the iPhone 4S, check out iFixit’s iPhone 4S Teardown. Warranty: Starting in 2011, all Seidio products have a 1 year warranty from the date of purchase if the product if defective. The buyer must provide the original receipt or proof of purchase. Style: The CONVERT Combo has an interesting design. It is a heavy-duty case. The case comes in only one standard color. The CONVERT Combo is quite bulky and is not a case you would use if you want to put your phone in your pocket. The CONVERT holster has a face-in design to protect your device and hold your device in place. The case is heavily armored, like a tank for instance. Based on Seidio, the case has also passed the MIL-STD-810G Mil Spec Drop Test. The grip makes the case easier to hold and the holster locks to securely hold your iPhone 4 in place. Price: The CONVERT Combo is not too expensive if you’re looking for a heavy-duty case. The product provides excellent protection for iPhone 4 and an eye catching design. Quality materials: The CONVERT Combo contains a SURFACE Case, a rugged skin and skeleton, a CONVERT Holster, and the Ultimate Screen Guard. The case is really bulky and durable. The SURFACE case, which can also be used independently from the other parts of the CONVERT Combo, is a soft touch hard case. It provides less protection, but is less bulky and more provides more mobility. It slips in and out of your pocket or purse easily. The rugged skin and skeleton protects the more vulnerable parts of your iPhone 4, such as the corners and sides. It provides shock-absorption and protects all parts of the iPhone 4, even the camera and ports. The triple layer case provides the upmost protection. Brand name: Seidio, Inc was founded in Houston, Texas in 2002. Seidio has continually provided great Smartphone accessories for everyone to use. The company focuses on provided premium accessories for its customers. 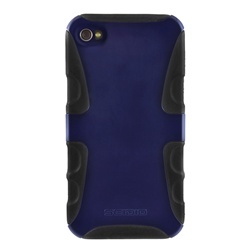 Seidio has a large selection of cases for everyday use will continue to produce more products. Modern technologies: The CONVERT Combo is not like most cases. Most cases are only one part cases, while this one is a three part case, not including the added holster and screen protector. The triple layer protection will keep your iPhone 4 safe from everyday use and more. Even though the case is bulky, it is still easy to use your iPhone. Compatibility: The case is compatible for the iPhone 4. Seidio also makes the CONVERT Combo for other Smartphones. Ease of use: The CONVERT Combo is pretty easy to use. If you don’t understand how to use it without instructions, the case also comes with a small piece of paper with instructions on how to use the case and the holster. 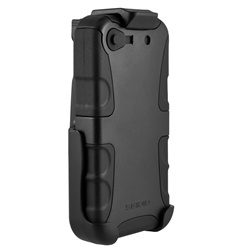 The CONVERT Combo is a good product for your iPhone 4 if you need heavy-duty protection. It provides the most protection you can expect from a case, but it sacrifices mobility. It’s difficult to carry your iPhone 4 in your pocket with the case, but it’s easy when you carry your iPhone 4 in the CONVERT holster and hook the holster to your belt. The design only comes in one color and is more bulky then you would usually like. The holster is really convenient and more necessary for a big case like this one. The CONVERT Combo can sometimes make it difficult to use the camera because it covers those areas unless you remove the covering. Style: The ACTIVE case has a very sleek design. It is extremely light, so it adds no extra weight to your iPhone 4. The case comes in five different colors. The ACTIVE holster has a face-in design to protect your device and hold your device in place. The fact that you can put three different pieces together to form a really cool case and holster combo is definitely appealing and impressive. The case is easy to grip because of the grooves and the holster has an adjustable swivel belt. The spring clip allows easy access to putting your iPhone 4 in and out of the holster. Price: The ACTIVE X Combo is definitely worth the price. The product provides good protection for iPhone 4 and an eye catching design. Quality materials: The ACTIVE X Combo contains an ACTIVE case and ACTIVE holster. The case has an overall thickness of only 2.2 mm. The interior is made from impact absorbing polymer. The exterior provides protection at the most impact vulnerable areas. The holster is felt-lined to protect the Apple iPhone 4 screen. The combination of the polymer and the exterior skeleton help provide protection to your iPhone 4. If you only use the polymer, the case won’t be as solid and sturdy. If you only use the exterior skeleton casing, the case won’t absorb the impact. The combination of the materials delivers flexibility and durability at the same time. Modern technologies: There are many companies that make iPhone 4 cases. There are many cases that are very solid and durable, but there are also many cases that are flexible and shock-absorbing. The combination of both brings the best of both. Compatibility: The case is compatible for only the iPhone 4. Seidio makes a version for the case for AT&T’s iPhone 4 and Verizon’s iPhone 4, since they differ in certain physical characteristics. Seidio also makes the ACTIVE X Combo for other Smartphones. Ease of use: The ACTIVE X Combo is very straightforward. It is simple and self-explanatory to use, but if you don’t understand it, the case also comes with a small piece of paper with instructions on how to use the case and the holster. The ACTIVE X Combo is a great deal and product for your iPhone 4. It provides protection for your iPhone 4 and it is easy to put in and out of your pocket or purse. It’s easy to carry your iPhone 4 around in the case and even easier to hold if you put it in the holster and hook the holster to your belt. The design is definitely a plus and attracts attention. The holster is really convenient when you don’t have pockets or have really small pockets. Is it the iPhone 5? No, but it is an upgrade. Apple has released the features of the iPhone 4S including Siri, a voice control system that exemplifies why the iPhone is much more then a phone. The new iPhone comes with a dual-core A5 chip, an 8 megapixel camera with 1080p HD video, iOS 5, and iCloud. Apple has not changed the look of the iPhone 4S, unfortunately. As many sources thought that Apple would change the look of the iPhone, it was not meant to be. Since we can’t talk about the look of it, there are many differences of the hardware for the iPhone 4S. Weight 140 grams / 4.9 oz 137 grams / 4.8 oz. As you can see, there aren’t as many changes as we thought there would be. The changes are on the inside where the iPhone 4S has the dual-core A5 chip, it also has the hybrid GSM/CDMA “World Phone”, Bluetooth 4.0. The battery life is a little strange. With the iPhone 4S, you only get 200 hours of standby time. With the iPhone 4, you get 300 hours of battery life. Maybe it has something to do with the dual-core A5 chip. The iPhone 4S has a dual-core A5 chip which delivers up to two times the power and seven times faster graphics. With the dual-core A5 chip, everything runs faster and you will notice the difference. With just a couple minutes playing games, multitasking, and more, you will feel the power from the dual-core A5 chip. The iPhone 4S comes with an 8 mp. camera, compared to the 5 mp. camera from the iPhone 4. The iPhone 4S also shoots video in 1080p HD. The iPhone 4 only had a 720p video camera. With the new iOS 5, there are over 200 new features. With the notification center, you can view stocks, latest texts, email messages, friend requests and more. With iMessage, you can send an unlimited amount of texts to iPhone’s, iPad’s, and iPod’s that are running with iOS 5. One other thing that I think makes the iPhone a user friendly phone is the Reminders. The Reminders lets you create a list of things to do that you can check off as you go. The highlight of the iPhone 4S is Siri. Siri is a voice control application that is as smart as human, maybe smarter. You can ask Siri a question just by talking the way you talk. Siri understands the way you talk, it’s almost like you are having a normal conversation with your phone. If you ask a question like “Are there any good malls around here?” Siri will look up your question and answer you. If you asked “Are there any good hot dog places around here?” Siri will respond “There are many around here.” Then you ask, “How about chow mein?” It will look up a Chinese restaurant because you asked about a restaurant in the previous question. Siri will continue to look up more information until you are satisfied. If you ask Siri to remind you about a certain date, it will remind you about it. Siri knows your address book, information, and more so it knows what you are talking about. If you ask “Please text Brittany Gonzalez.” Siri will automatically know what to do. Siri responds almost as if you are talking to a person in front of you. If you ask Siri “Will the weather be nice in Miami.” Siri will look up the weather in Miami and respond to you with “Bring your sunglasses; it’s going to be nice in Miami.” Ask Siri to write a text a contact, it will write what you are saying and send it to the person. The iPhone 4S also takes dictation. All you have to do is click on the microphone icon on the keyboard, say what you want to say, and the iPhone listens. Tap done and the iPhone will convert your words into text. The iPhone 4S has three different plans. For $199, you get 16GB of memory, for $299, you get 32GB of memory, and for $399, you get 64GB of memory. Apple is also selling the iPhone 4S in white and black. 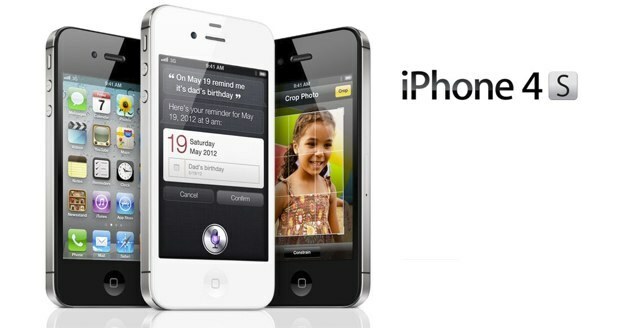 You can purchase the iPhone 4S through AT&T, Verizon, and Sprint. Sprint is supplying the iPhone 4S with unlimited data. AT&T and Verizon are still selling the 200MB and 2GB of data. Prices may change so I can’t say for sure what the prices will be. Okay, this whole “gate” thing is getting out of control. Seems like any time there’s a “scandal” with Apple, the journalists and pundits want to give it a title with some edge to it. So they harken back to the 1970’s political scandal of Watergate. 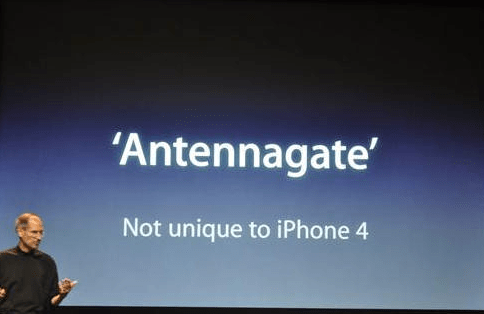 The antenna doesn’t work quite right on the iPhone 4 when it first comes out, so what does everyone call it? Antennagate. Glass screens breaking or cracking? Glassgate. Apple allegedly tracking your whereabouts? Locationgate. I’m not against people criticizing Apple. Far from it. I mean, who could possibly side with the “hockey puck” mouse design for the early iMacs? But if people are going to try coining terms, then they should at least be a little more creative. They could try using 1940’s film noir titles for inspiration. “The Big Grip” sounds much edgier than antennagate. Heck, I’d even settle for riffs of 1950’s b-movie sci-fi titles, such as “They Watch Where You Go” instead of locationgate. But you get the idea. So let’s stop using “gate” as a suffix. It’s not hip. It’s just annoying.